The Consumer Specialty Products Association (CSPA) has named Jim Jones as the Executive Vice President of Strategic Alliances & Industry Relations. 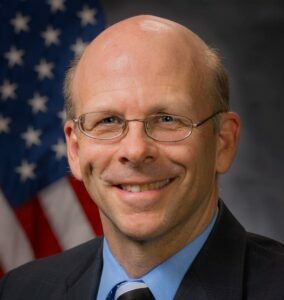 Jones is the former Assistant Administrator of the Office of Chemical Safety and Pollution Prevention (OCSPP) at the U.S. Environmental Protection Agency. Jones will focus on expanding and strengthening the association’s relationships with industry, NGOs, retailers and all levels of government, while also increasing sustainability efforts in the consumer, industrial and institutional specialty chemicals industry. Jones will also assume responsibility for the association’s Pest Management Division. “Jim is a proven leader, widely-respected environmental regulator, strategic negotiator and communicator who will bring his broad range of management expertise to CSPA in an increasingly challenging legislative and regulatory climate,” said Steve Caldeira, CSPA President and CEO. “He is universally-trusted by those in industry, government and environmental groups, and he will help to expand the association’s impact at the national, state and local levels of government.” Jones will report directly to Caldeira in this newly-created position. Jones held various management positions focused on chemicals, toxics, and pesticides during his 30- year career at EPA. As leader of OCSPP, an office of highly-skilled technical staff of about 1,000 people and a budget of $225 million, he was responsible for implementing the nation’s pesticide, toxic substances, and pollution prevention laws. Among his many accomplishments, Jones was instrumental in working with bipartisan leadership in the House and Senate on the Frank R. Lautenberg Chemical Safety for the 21st Century Act, which overhauled the Toxic Substances Control Act and was signed into law in 2016 by President Obama. He also led the early stages of implementation of the act which had not been updated in nearly 40 years. Jones was also responsible for leading several successful national sustainability programs, including launching the increasingly industry accepted Safer Choice program and establishing federal “Green Guidelines” to facilitate federal purchasing of green products. He also directed the updating of the Farmworker Safety and Pesticide Certification and Training Rules while at EPA. Since leaving EPA in January, Jones has been providing consulting services on chemicals policy and sustainability to clients in the private sector and to the non-profit community. In addition to serving as Assistant Administrator of OCSPP at EPA, he also was Director of the Office of Pesticide Programs, Director of the Registration Division, Chief of the Registration Support Branch, and early in his career, was special assistant to the Assistant Administrator of what is now OCSPP. Jones earned an M.A. in Economics from the University of California at Santa Barbara and a B.A. in Economics from the University of Maryland. He is a 2003 recipient of the Presidential Rank Award for Meritorious Service and in 2010 he was awarded the Presidential Rank Award for Distinguished Service. In January of 2012, President Obama nominated Jones to the position of Assistant Administrator for the Office of Chemical Safety and Pollution Prevention at the EPA. In August 2013, the United States Senate confirmed his nomination.